All SPSVs are required under legislation to carry a number of pieces of safety equipment for use in the event of an emergency. SPSV operators are not required to use these items but they must keep them securely stored in the vehicle at all times in case they are needed. These items are checked when the vehicle is first licensed and then annually at the Licence Renewal Assessment. These items are also checked on an ongoing basis by members of the Authority’s Compliance Team and An Garda Síochána. If you are looking to purchase security equipment for your SPSV, there are some tips below that may help identify the correct equipment. 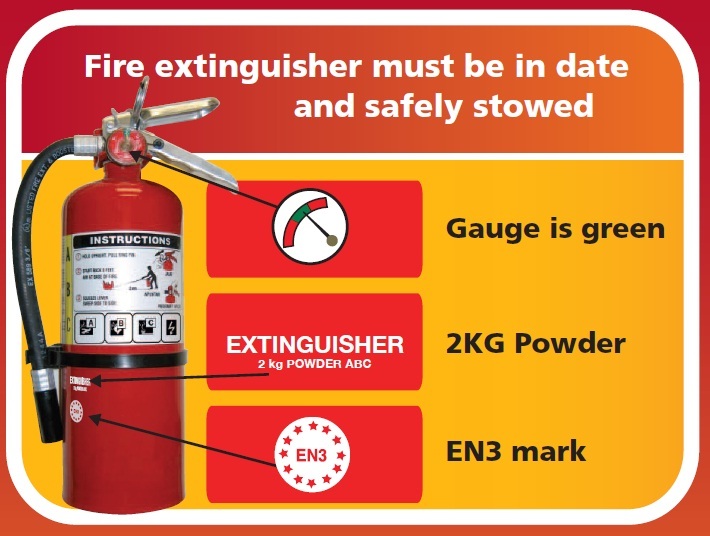 Fire Extinguisher All SPSVs require a 2KG powder-based fire extinguisher with an EN3 mark (Classes A, B & C).The fire extinguisher must be in date and safely stowed.To ensure that your fire extinguisher is in date you should check that the gauge is green. If there is no green gauge, the date of expiry and date of inspection must be imprinted on the extinguisher. 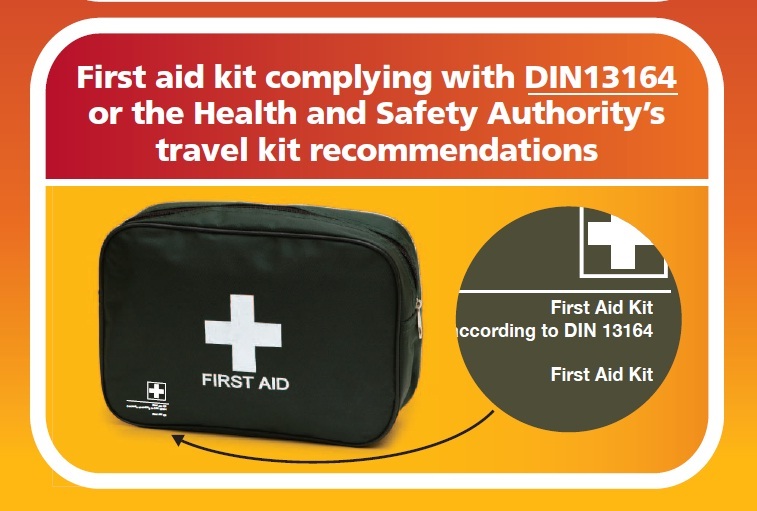 First Aid Kit This must comply with DIN13164 or the Health and Safety Authority’s travel kit recommendations.Please note that all contents must be in date. High-Visibility Vest, Warning Triangle, Pen and Paper, and a Torch. 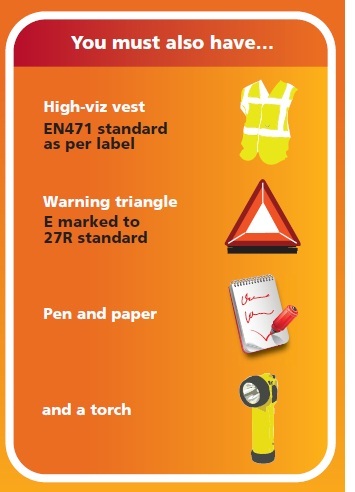 The high-viz jacket and warning triangle must meet the prescribed standards.The torch and pen must be working. The National Transport Authority advises you to check your safety equipment carefully. Having the incorrect or out-of-date safety equipment is a common reason for failing the Initial Suitability Inspection and Licence Renewal Assessment. All items are usually available in large supermarket chains, car dealerships, and pharmacies. Please check the equipment specification is correct before purchasing. Further details on the vehicle-related inspection criteria may be found in the Licence Renewal Assessment Manual and Initial Suitability Inspection Manual.